If your travel plans took you to Honolulu for Labor Day weekend, you might have witnessed the first-ever test of the rail cars that will transit people about the city once the Honolulu Rail Transit Project is complete. The 20-mile, $9.5 billion transit line, which will be fully automated—or, driverless—is expected to begin operating in late 2020. But the rail line is not without controversy. Originally estimated to cost taxpayers $4.6 billion, rail line estimates skyrocketed to $6.7 billion by early 2016, according to the New York Times. To cover the difference, the city then voted to extend a half percent General Excise Tax (GET) surcharge by five years. Just 18 months later, cost estimates have ballooned again and now hover in the neighborhood of $9.5 billion, according to the Associated Press (h/t U.S. News.) The half-finished rail, now one of the most expensive per capita in the nation, was facing a new shortfall of $2.4 billion. Adding to the pressure, the Federal Transportation Administration, which has committed $1.5 billion toward the project, gave HART a firm September 15 deadline to prove it could pay for the project or the federal government would pull its funding. Late last week, the Hawaii Legislature approved a plan to increase funding. They would extend the GET surcharge for another three years which would contribute an additional $1 billion toward the project. The rest of the shortfall will be made up by visitors to Hawaii. The bill includes a statewide increase of the transient accommodations tax (TAT) by one percent for three years, which should serve to raise the necessary $1.3 billion. Some lawmakers and members of the tourism industry across the state have issued harsh criticism for being expected to help foot the bill on a local rail line. Among the most vocal opponents, Mike White, the Council Chairman for Maui County, has said the tax will hurt local businesses in his region. Essentially, said White, visitors are on a fixed budget. The extra one percent in hotel taxes will mean they spend less on dining, entertainment and attractions in the communities they visit. “One percent increase in TAT would remove over $30 million from our Neighbor Island communities and economies, sending it to Oahu,” said White in a statement on his website. White also noted that Kauai, Maui and Hawaii counties contribute $247 million to the state’s total TAT revenues, accounting for 51 percent. 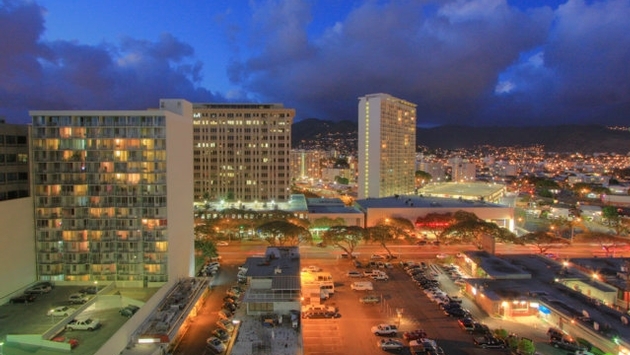 Oahu, on the other hand, accounts for $237 million, or 49 percent of the hotel tax revenues. According to the Hawaii Tribune Herald, that amount contributed by neighboring island communities could actually be higher. The article cites Outrigger Enterprises Group as an example. While Outrigger has six properties on Maui and four on the Big Island in addition to its seven on Oahu, all of its TAT revenue is recorded as coming through the head office located on Oahu. Other opponents also voiced the concern that the TAT is a fluid revenue source based on the whims and trends of inbound visitor markets. Proponents of the bill argue that 80 percent of Hawaii’s population lives on Oahu and their taxes are often used to fund projects in other regions. The bill passed Hawaii's Senate last week with a 9-6 vote and passed the House with a 31-15 vote. It will now head to the desk of Governor David Ige, who is expected to sign it into law within a few days.